Ron Moss has been writing haiku and related genres for the last twenty years. In that time he has published over a thousand haiku worldwide and his haiku appear in many collections and prestigious anthologies. Ron’s first collection The Bone Carver won the Snapshot Press Book Award, the Haiku Foundation’s Touchstone Award, and an Honourable Mention in the Haiku Society of America’s Merit Book Award. 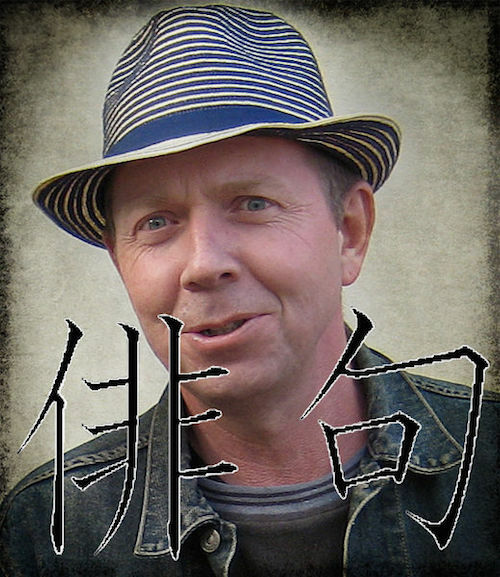 Ron is highly regarded in the international haiku community and a member of many societies and groups. He is often asked to judge competitions and acts as an editor on various projects. Ron is also a visual artist and award winning photographer and he often combines his poetry and art and has exhibited both here, and interstate. He has also travelled to NZ and the USA to give presentations and workshops of his art and poetry. Ron’s latest collection Bushfire Moon contains haiku and prose written about his experiences as a Tasmanian Volunteer Firefighter.